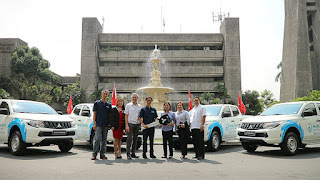 Mitsubishi Motors Philippines Corporation (MMPC) recently turned over a fleet of the all-new Strada pickups to Manila Water Company, Inc. One hundred sixteen (116) units of Strada GL 2WD Manual Transmission were acquired by Manila Water thru MMPC’s authorized dealership Diamond Motor Corp. – Quezon Ave. (DMC-QA). Among other available pickups in the market, Manila Water chose the Strada because of its fuel efficiency, improved features, and very competitive price. A thorough evaluation was conducted by Manila Water to determine the best pickup that will fit their requirements. 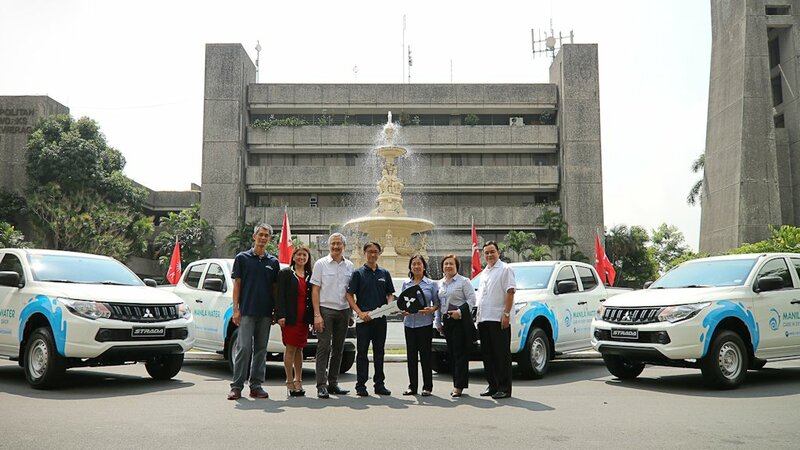 The ceremonial turn-over was headed by MMPC’s Assistant Vice President for Vehicle Sales Mr. Dante Calma, Manila Water’s Director for Operations Support Services, Ms. Estelita Orodio, and DMC-QA’s Vice President/ Branch Head Mr. Eduardo Icasiano. With Manila Water’s nature of business, the all-new Strada is the perfect workhorse for them. Is it just me or may nagbago talaga sa front grille ng strada aside sa color? This is what I'm saying before, it's definitely not the best looking nor the most handsome looking pickup but it looks good and unique. The promblem is the front bumper and fog lights. If only they could tweak it, a lot of people would buy it. Weird I know, but the grille of the base model looks waaay better than the chromed ones of the higher variants.